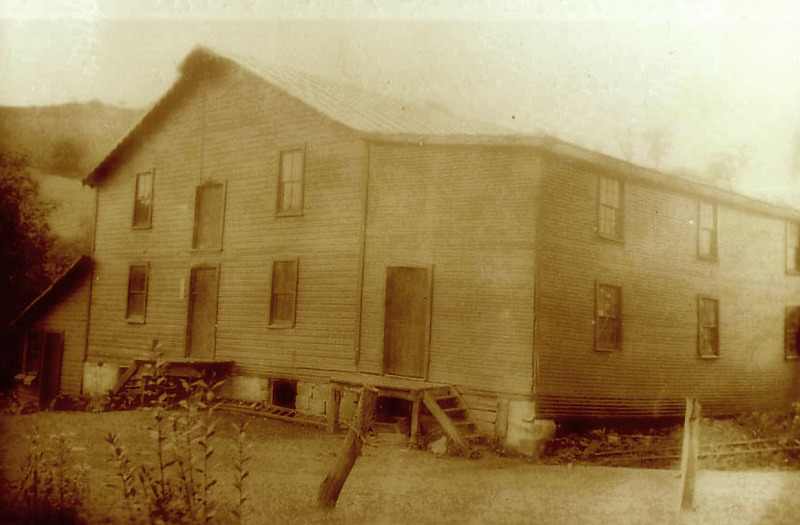 This begins a four-part series on four of the last children born at the Pearce homestead in what is now North Park, Allegheny County, Pennsylvania. All of these stories are still being written as descendants are added and memories are recalled and recorded. As future revisions are made, we will add pictures, graphs, and maps to bring these accounts to life and aid in the readers’ understanding. Meanwhile, we invite you to inscribe additions and changes in the families at the end of this article, then pass them on to the other branches of the great tree we are calling the Bourne Connection. 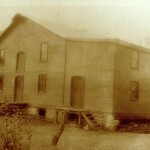 The first great grandson of Richard and Susan Austen Pearce through their youngest child, Charles, and his seventh, Wesley, was born at the Pine Creek Settlement on September 24, 1911, and named Walter Earl Pearce. We could locate only one other person in the family named Walter, which is German for “ruler of the people or army” (wald + heri) [WWW.BEHINDTHENAMES.COM]. Uncle Walter’s Grandfather Charles’ older brother John, of Pearce Blanket fame, named his oldest child Walter (1859 – ). That Walter married whom we believe to be one of Abraham Ziegler’s descendants and moved to Kansas [see reference to the German influence on historic Harmony, PA in the Pearce Blanket article – Is this where the name came from? Ironically, that Walter named two of his sons Howard and Ralph, names that were also given to our Walter’s younger brothers!]. Several other family members were named Earl, which is an English title of nobility. I remember, as a child, my mother saying that Grandma never liked names that could be shortened or changed to “nicknames,” but Walter was usually called “Walt” (although never “Wally,” that I know of). Bessie’s youngest sons had single syllable names, and Howard was pronounced in typical Western PA fashion as one syllable: “Hard.” So, her wishes were somewhat misdirected in the “name” department. And, speaking of family names, 1911, the year that Walter was born, was also the year that the famous genealogy of the Austen and Pearce Families (1757-1911) was published and presented at the annual family reunion. In the following articles we’ll present the stories of each of Wesley and Bessie Reed (Hill) Pearce’s boys that also included Howard (1914-90), Ralph (1917 -2002), and Dale (1918-81). We’ve asked members of their surviving families to contribute from their own memories of these unique men. Additional information is also included about their wives, children, grandchildren, and great-grandchildren. Several early photographs remain of young Walter sitting on the laps of his proud parents. Even as a baby, he seemed to have that certain twinkle in his eye that he had throughout his life. Was it mischievousness or just a precocious understanding of other people and the world? Having spent time talking to him in his final years, I’d say maybe a little of both! Walter finished the eighth grade at the one-room Walters School on the hill overlooking the Pearce mill and farm, but my father, Ralph, says that he wasn’t particularly interested in “book learning.” He remembers his brother getting into trouble with their teacher and having to go before the head of the school board, Lee Grubbs, who was also his uncle. After that, Walter thought there must be better things in life than school. High schools weren’t popular or close by in those days, so he decided to work on the family farm. He was 16 when Allegheny County took over the property by eminent domain to construct North Park [see previous articles], but that enabled Walter to try other things. Borrowing his dad’s horse and sled, he hauled fence posts, wire, and cement to install fencing to contain the deer and buffalo that were introduced to the new park. He was paid $7 a day for this. Other of Walter’s employers included the Mueller Farms in nearby Bakerstown and the Wildwood Coal Mine, just south along Pine Creek. After the farm was taken in 1927, and his mom and dad moved the family north to a new farm in Mars, Walter found plenty to do there. My father remembered Walter coming home one night from a date and parking his little two-door Ford truck under the “overshot” of the barn. Suddenly, my dad said, Walter came running toward the house shouting, “The barn’s on fire. The barn’s on fire.” The entire family followed him back to the barn, and seeing some hay burning, beat down the flames while others pushed the truck back to where it drifted down over the hill into the pasture where the fire burned itself out. Apparently, there was little damage to either the barn or the truck, thanks to quick action by all involved, but my dad says it was a memorable night. On January 21, 1936, Walter married Isabella Mae Whetsell ( 1915-95) of Renfrew, PA. They were married in the Methodist church parsonage in Nixon, near the county seat of Butler. Together, they had three children: Charles Raymond (1936 – ), Joyce Elaine (1943 – ), and Alice Irene (1949-98). His mother and father had given Walter a 20-acre parcel as a living inheritance. It was located at the corner where the Pearce Lane meets the access road to Three Degree Road. Walter made good use of this property, building a comfortable wooden, one-story home for his family, a small barn, and garage. But, the most amazing thing to this writer is that when the one-room Gilbreath School that his brothers attended along Three Degree Road was abandoned, he purchased it and moved it to his land. After some remodeling, he rented it to another family. All his buildings still stand and are occupied today, a credit to his workmanship. I especially remember my uncle as a kind and jovial yet hard-working man who always had a project going: planting corn, cutting hay, raising animals, or collecting scrap. He had an old pickup truck that was ready for most anything someone wanted to get rid of. If he thought he could resell it, he would take it. This lucrative practice was continued into retirement when he went from flea market to garage sale in Florida reselling items. But, in his younger days, before he moved, he also had a dump truck in which he hauled topsoil and did landscaping work in the evening and on Saturdays. On Sundays in the mid-1950s, when our family would visit Grandpap Wesley and Grandma Bessie, my sister and I were allowed to walk out the lane to see our cousin Alice, his youngest daughter. Once, her dad hitched up the family pony to a cart and let us drive it. Unfortunately, I cut a corner too sharply and wrapped the horse and wagon around a telephone pole. Uncle Walt came running to save us, laughing all the way! Walter was employed at National Electric near Pittsburgh as a laborer and later Armco Steel in Ambridge. It was there that he received an exemption from the World War II draft because the company was making munitions and metal fabrications for the United States Army. He later became a guard for Armco and retired in 1973. It was then that he and Belle sold the house and property and moved to Lutz, Florida, with their RV. Unfortunately, Aunt Isabella became ill in 1994, and they had to move north again, this time to an apartment and nursing facility near their daughter Joyce in Mountain Lake Park, Western Maryland. Isabella died June 30, 1995. Walter continued to live in the apartment near his daughter, and I recall several wonderful visits my dad and I had with him. As we entered his home, we were greeted with some new gadget or toy he had found. I really think that he enjoyed our reactions more than we understood what was going on. Lunchtime was spent out in the country at a local restaurant where everyone knew his name. After more stories and family history lessons we sadly said goodbye. But the saddest day was September 3, 1997, when word was received of his death, just three weeks short of his 86th birthday. Thank you, Joyce. I’ll make those changes. I appreciate your close reading.